At The Daily Creative Food Co., the menu is as big in taste as it is in size. Serving breakfast, lunch and dinner, this place could live up to its name and dish out a different food selection, daily. 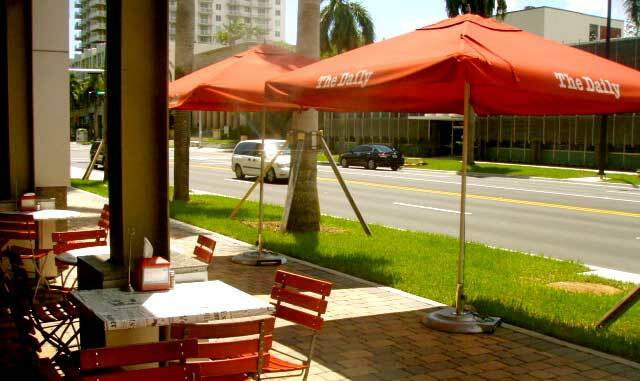 Located on busy Biscayne Boulevard, this casual café has an on-the-go, New York feel without sacrificing taste. 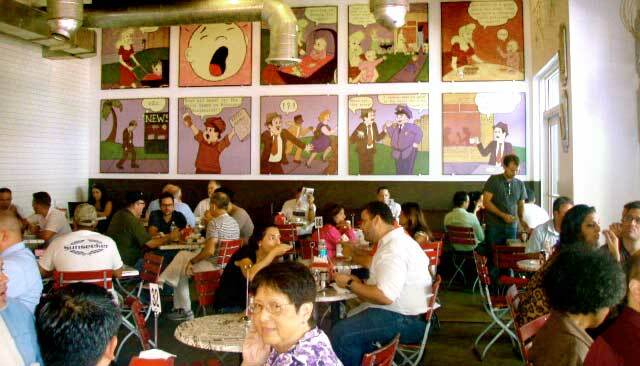 You’ll find most of the menu selections are inspired by newspapers, such as The Wall Street Journal Smoked Salmon, The Sun Post Bistro Ham and The Beat Writer Meatloaf. 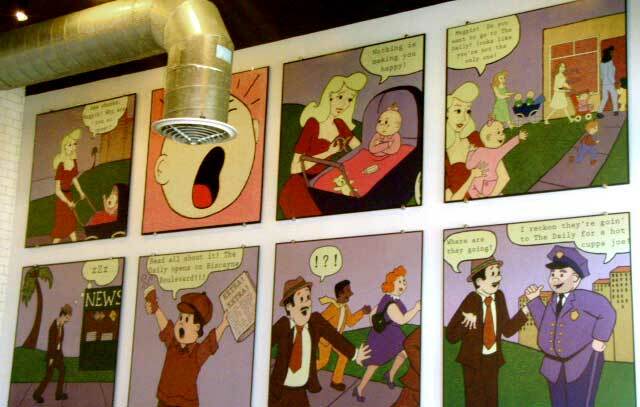 The décor also makes you feel like you’re eating in a chic, bustling newsroom. 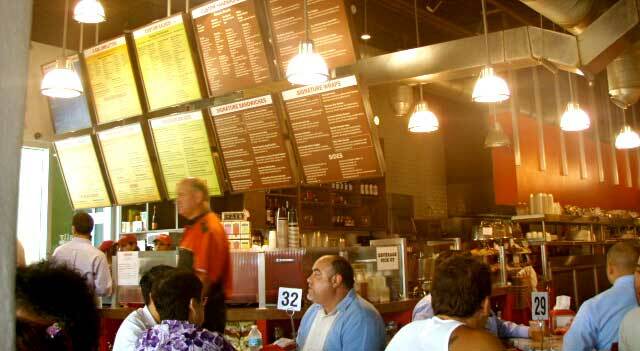 Choices include omelets, sandwiches, soups, wraps, and salads, or build your own selections from a five-page menu. Although it was nearly impossible to settle on just one category, let alone one dish, I stopped in for lunch and tried The Biscayne Times Tuna Salad Sandwich ($8.25). I think the best part of this sandwich was that the tuna did not have an overwhelming amount of mayonnaise drowning out the other flavors. 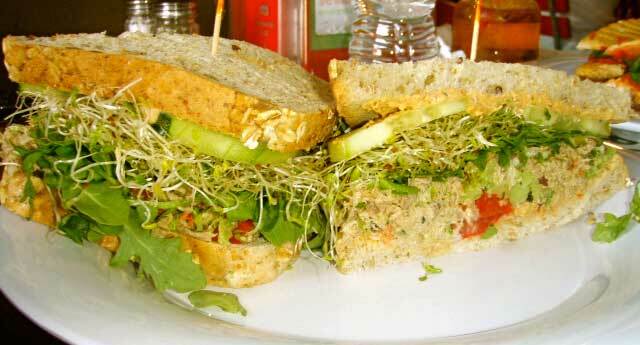 The light mayo on multigrain bread, combined with red peppers, hummus, cucumbers, arugula and sprouts was a refreshing combination. 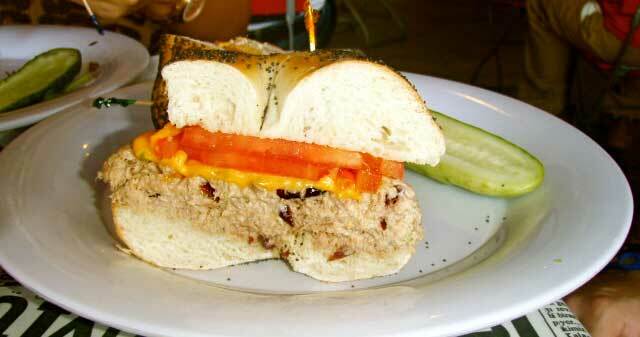 I was also intrigued by a non-mayo tuna option, The Village Voice Tuna Salad ($7.95), which comes on multigrain bread, but this time, I opted for an Everything Bagel. That’s one of the neat things about The Daily; you can substitute any bread, meat, cheese, spread, or topping for a truly original, customized meal. I left all the other ingredients as is on the Village Voice Tuna, including Italian style tuna (no mayo, as mentioned), arugula, white bean & tomato salad with Dijon honey vinaigrette. It was very fresh and bold in flavors and it turned out to be a perfectly light lunch. 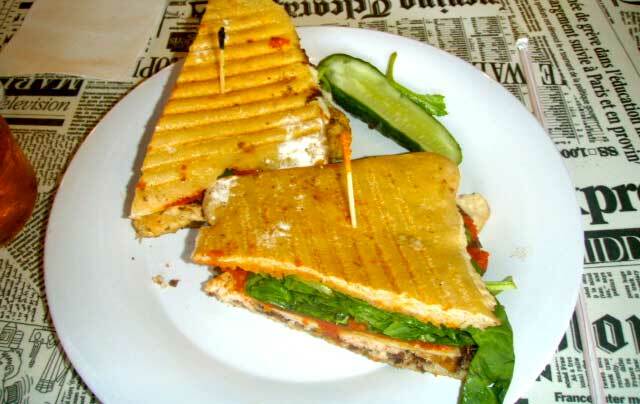 Other notable selections include The Printer ($8.50), a Panini with a Mediterranean kick. It comes on crispy Ciabatta bread with chicken breast, spinach, provolone, olive tapenade & sundried tomato pesto. If dessert is a must, The Daily offers freshly-baked croissants, muffins, pastries and other sweets. Stay alert with a signature coffee drink, such as the Frozen Hot Chocolate ($3.75 – $4.75) or the Coffee Energizer ($3.95 – $4.95), which is made with espresso, bananas, milk, and sugar. Don’t forget, The Daily also offers a myriad of breakfast and dinner items! Be advised that the portions are very generous and can easily be shared. Prices range from $1.50 to $13.95.